Patricia A. Pope, 70, of Indianapolis, formerly of Washington, passed away peacefully in her home and in the presence of her family on June 4, 2018. She was born on October 28, 1947 in Peoria, IL as the daughter of Howard and Lucille Seipel. Pat was a graduate of University of Illinois, where she met and married her college sweetheart, Harold. Upon graduation, Pat and Harold moved back to the Peoria area and eventually settled in Washington, where they lived and raised their family for 25 years. 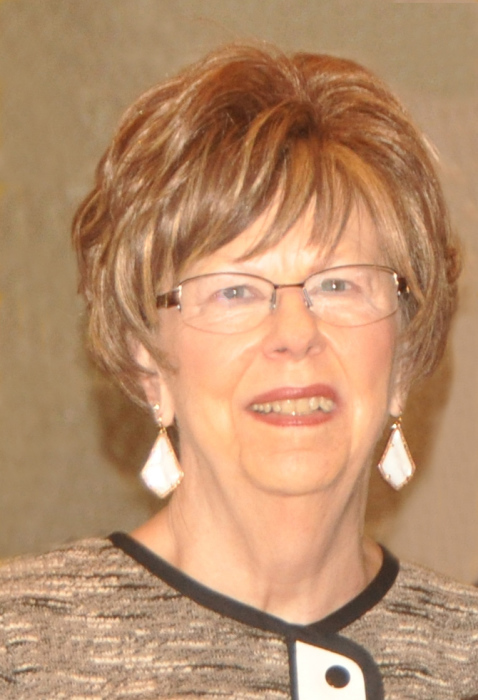 Pat started her career life as an elementary school teacher and after taking a few years to spend time at home with her three children, she returned to academia as a coordinator for the Adult Education program at Illinois Central College. She loved her job and the many amazing women she had to privilege to work alongside throughout her tenure at ICC. In 2003, Pat and Harold moved to Indianapolis. While Pat officially retired after the move, she continued to work just as hard; actively volunteering in her community and her church. In addition to her volunteer life, Pat was an avid reader, gourmet cook and master gardener. She was a member of the Friendly Garden Club and caretaker of a yard/garden that can rival most parks. To say she had a green thumb is truly an understatement. Pat is survived by her beloved husband, Harold, and three children: Sean Pope (Meggan), Erin Vitellaro (Nick) and Scott Pope (Emily). She is also survived by six grandchildren – Ella (11), Eva (9), Will (9), Clara (7), Julia (7) and Amelia (4). She took the role as Grandma very seriously and seized any minute she could to spend time with them. She was preceded in death by her mother, father, and younger brother Jeffrey Seipel. A special thanks to the countless nurses, doctors, friends, neighbors and family who aided and supported her throughout her decade-long, courageous fight against cancer. A Funeral Mass will be held at 10:00am Saturday, June 9, 2018 at St. Patrick Catholic Church in Washington. Visitation will be from 5-7:00pm Friday, June 8, 2018 at Deiters Funeral Home and Crematory in Washington. Interment will be at Swan Lake Memory Gardens in Peoria. Father Thaddeus B.K. Tran will officiate. In lieu of flowers, please plant something for yourself in her memory; she would have wanted that.